“Highjacking of the American Presidency: Terrorists in the White House” is a gripping and enthralling political action novel that will thrill each reader. Fans of suspense, thriller, and action novels will surely be at the edge of their seats as they read through each page. Get lost in an action novel that will enthral and excite readers at every turn of the page. Assad R. Wright definitely takes readers to new heights as he narrates this political thriller and action novel that will surely thrill and surprise each one at every plot twist and suspenseful scenes. The author truly crafts a masterful tale that is told as if every scene comes from a very gripping action movie. With every thrilling scene and setting from this story, this gifted writer will surely delight fans of action and suspense novels alike. 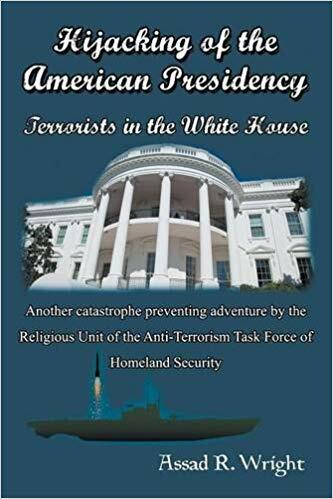 From its title, “Highjacking of the American Presidency: Terrorists in the White House” tells a story that narrates the horrific possibility of terrorists getting into the White House. This plot revolves around a threat the White House is facing: a powerful religious group who wants to appoint a much more desirable man of their choosing in the office and doesn’t hesitate to kill whoever gets in the way. Faced with the danger imposed by this fanatical group and what they can do the White House and the entire United States, will the Department of Homeland Security Anti-Terrorism Task Force be able to put a stop to this national threat? Find out what happens in the “Highjacking of the American Presidency: Terrorists in the White House.” Paperback copies of this book are available on Amazon: https://www.amazon.com/Hijacking-American-Presidency-Terrorists-White/dp/1681813866, and other major bookstores!